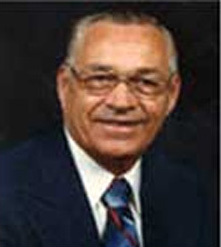 J.P. Watts started his business in 1965. His daughter, Nancy, would help on the weekends and in the summer. In 1966, Freeman Hall became J.P.’s partner. Nancy’s husband, David Deal, began working for the company in 1970. After Freeman retired, David became a partner, and after JP’s death in 1982, Nancy and David took over and led the business to where it is today. When Jacob Deal started working in 1994, JP’s became a third generation company. In 1997, Larry Martin joined the company to handle the HVAC Department. With his organizational skills, he has been instrumental in management of the HVAC Department. From humble beginnings with one or two employees, J.P.’s has grown to eight. J.P.’s service technicians are committed to solving your plumbing and heating problems and will leave your home or business better than they found it. They will treat you and your home or business with respect. J.P.’s employees are continually educated and trained. Our state licensed employees have a combined 134 years of experience. They will use their knowledge and other employee’s knowledge to get the job done right! For your peace of mind, J.P.’s Plumbing and Heating is fully licensed and insured.We are a referral driven company, and your satisfaction is guaranteed! We feel there isn’t a better way to show how much we care about our customers than by being 100% honest. We’ve provided great service to our customers for decades by being honest and open. We only recommend solutions to your plumbing or HVAC project that are truly needed–we won’t try to over sell you on services and things you don’t need. We want our customers to feel comfortable with us. Our service technicians aren’t just random persons– they’re community members and leaders. Over the years, we’ve provided service to friends and neighbors alike, and we like to know our customers by name. 1) Park our vans in the front of the home, on the street or at end of drive way so that our van is visible to those passing. 2) Have our technicians check-in to each location and check-out at each location. 3) Make certain our technicians will always be in uniform. When the technician steps out of the van, you can easily see if it’s an official JP’s service tech. You don’t get to serve a great community like Statesville, NC for as long as we have without providing top notch service and work. We pride ourselves on making sure the job is done correctly, whether it’s a simple clogged sink, or all the plumbing and HVAC for a new commercial building. We treat every task with the same high level of care. Bill's manner was knowledgeable, straightforward and professional and he gave us the information needed to make an informed decision. I would highly recommend JP's Plumbing and heating. I would definitely use this company again. Tommy was professional and friendly. I am a very happy client. Most of the other contractors did not want the job because it was not an easy one. JP's did a very detailed quote to give the best price possible for the job. So far everything is good with the system. The scheduling was great. They are a good company. They did nice work and I haven't had any problems with it. I worked with Tommy. He was very nice, cordial, friendly, on time, reasonable, and he was excellent! JP's serves Statesville and the surrounding areas such as: Mooresville, Newton, Mocksville, Cornelius, Salisbury, Hickory, Sherrills Ford, Harmony, Union Grove, Taylorsville, Lake Norman, Catawba, Davidson, Cleveland, Stony Point, Hiddenite,Claremont, Terrell . If you don't see your city listed don't get discouraged. We serve a wide range of areas and would be glad to help you with any plumbing or heating problem you may have. Copyright© 2014 JP's Plumbing. All rights reserved.